Three years ago The Timbers community planted a rain garden. The garden serves as a natural form of erosion control and includes hundreds of of native plants. 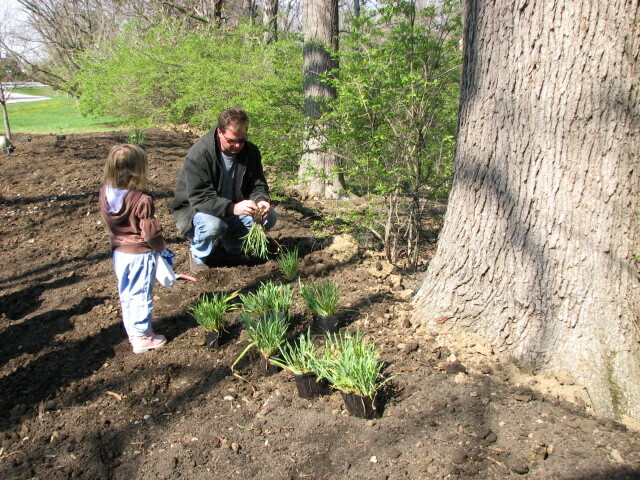 Landscape architect Daryn Fair (pictured here, with daughter Becka) designed and helped to implement the community’s rain garden. The garden serves as just one example of people and nature coming together at The Timbers.